ARLINGTON, Va. – The Arlington County Police Department has arrested and charged a suspect following an investigation into a series of robberies targeting pizza delivery drivers. William Engelking-Scott, 20, of Arlington, VA was taken into custody without incident by members of the Arlington County SWAT team on the afternoon of January 25, 2019. 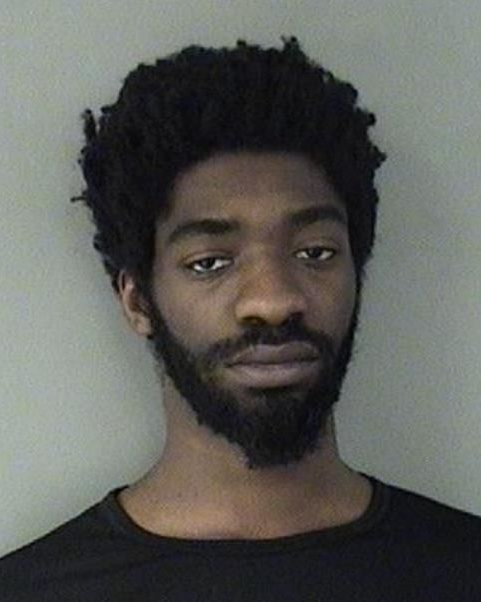 He has been charged with Robbery and Use of a Firearm in the Commission of a Felony and is being held without bond in the Arlington County Detention Facility. At approximately 9:49 p.m. on December 21, police were dispatched to the 300 block of S. Taylor Street for the report of a robbery. Upon arrival, it was determined that the victim, who was working as a delivery driver at the time of the incident, exited his vehicle to make a delivery and was approached by a male suspect who brandished a firearm and demanded cash. The suspect fled the scene with an undisclosed amount of cash prior to police arrival. The victim was not injured. At approximately 12:58 a.m. on January 6, police were dispatched to the 300 block of S. Taylor Street for the report of an armed robbery. Upon arrival, it was determined that the victim, who was working as a delivery driver at the time of the incident, exited his vehicle to make a delivery and was approached by a male suspect who brandished a firearm and demanded cash. The suspect then assaulted the victim and fled the scene on foot with an undisclosed amount of cash. The victim suffered minor injuries and was transported to an area hospital for treatment. This remains an active criminal investigation. Anyone with information related to this investigation is asked to contact Detective J. Senn of the Arlington County Police Department’s Homicide/Robbery Unit at 703-228-4049 or jsenn@arlingtonva.us. Information may also be provided anonymously through the Arlington County Crime Solvers hotline at 1-866-411-TIPS (8477).